Less well known is that for precisely 10 days in early September and 7 days in late October, The Tokyo Disney Resort has official Cosplay days where adults are allowed to come to Tokyo Disneyland in full costume. Here, however, the only costumes allowed are Disney characters (no surprise). These are not the tired schleppers dragging their kids around you see in the U.S. 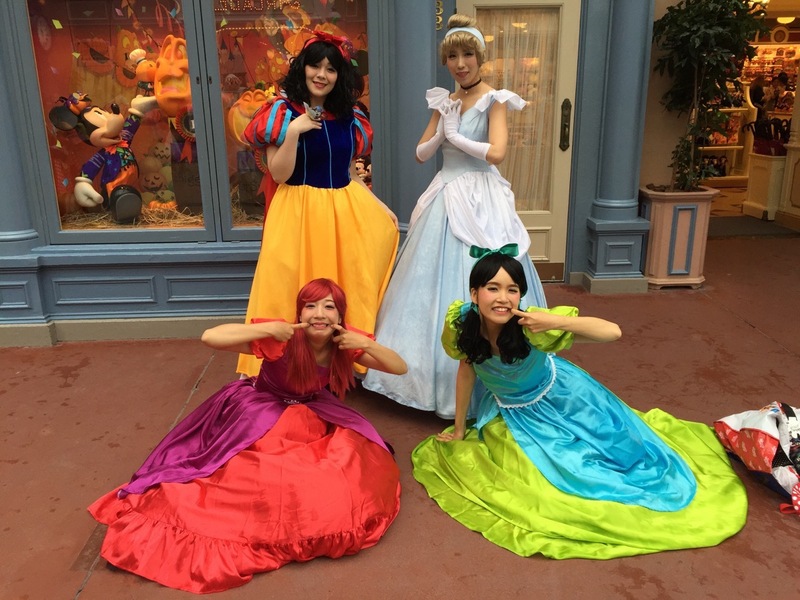 In Tokyo Disneyland there is a regal quality to the care with which the cosplayers make the costumes and the pride which with they wear them. Photos are generally allowed as long as you ask first. They think Western guys are cool ... even middle-aged Western guys. After you've watched the Cosplayers, head over to Pooh's Hunny Hunt for a souvenir bucket of honey popcorn. Once you've washed the honey popcorn off your hands, head on over to the Shootin' Gallery, where in Japan you actually get a badge when you hit all 10 shots for two bucks. Lucky folks get a gold badge (hint: aim for the high rat). And of course Tokyo Disneyland has its own Halloween thing going on which trumps anything done in the U.S. parks (and it’s all free with admission—no extra purchase hard ticket events).